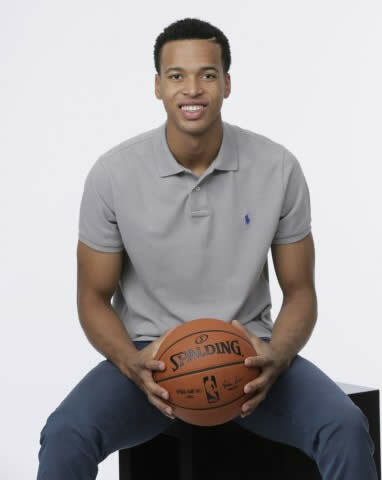 Here is a picture of young Haitian basketball player Skal Labissière who was drafted on June 23, 2016 by the Sacramento Kings. 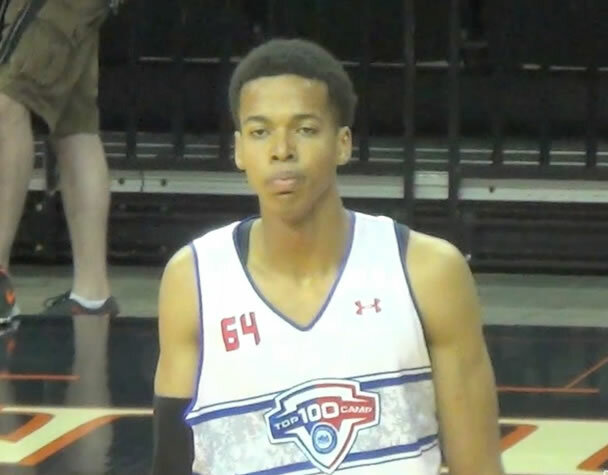 Skal Labissiere is a Haitian basketball player (height: 6 ft 11 inch or 2.11 meters, weight: 215 lbs or 98 kg) who was born in Haiti on February 18, 1996. On the day of the devastating earthquake, Skal had just returned home from a basketball practice, when he headed to the bathroom to wash up, the earth began to shake. His family home collapsed with Labissiere, his brother and mother inside. Although, they managed to survive, but were trapped inside the debris for several hours. 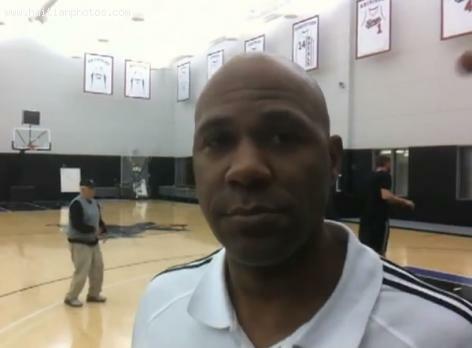 A few months later, Labissiere moved to the U.S and joined the ' Reach Your Dream organization' run by Gerald Hamilton. It is a nonprofit organization that identifies and relocates talented kids to America from disadvantaged countries. With their help, Skal was given an opportunity to play at Evangelical Christian High School (Cordova, Tenn.). During his first 18 months in America, his list of accomplishments was staggering. He learned English, won a state championship, and established himself as one of the nation's top basketball prospects in the Class of 2015. Rivals.com has ranked him as the fourth-best prep prospect in the class of 2015. In his childhood, Skal was an avid soccer player, but soon, when he was only 11, he realized that his height is more suitable for basketball game. He started learning the skills jump hook and jump shot from his coaches. Some of the NBA scouts consider him as the second-best prospect on the World team behind Simmons. He has size, length, soft touch, and the ability to run the floor-- still a work in progress. Labissiere has not been back to Haiti since he came to the U.S but has plans to come back as an NBA player to help and inspire kids at home, not just with doing basketball camps, but to help them in general and spiritually, because he feels an urge to give back what the country has given to him. 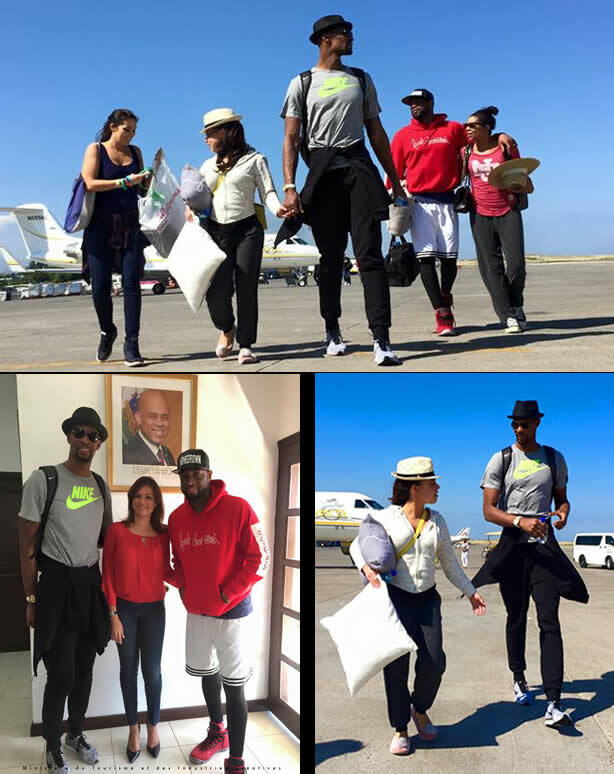 Haiti's Carnival received a boost in publicity with the arrival of NBA Miami Heat stars Dwayne Wade and Chris Bosh in Port-au-Prince. Tourism Minister Stephanie Villedrouin welcomed them to the capital. Wade and Bosh plan to attend Sunday's parade in Champs de Mars. Along with their wives the players hope to get three days of R and R before returning for the final 30 games of the season. 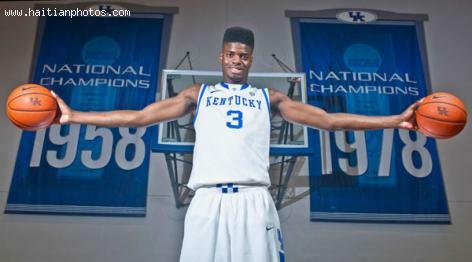 Haitian-American basketball player, Nerlens Noel, born in 1994, attended Tilton High School. He registered for the 2012 class, instead of 2013, to get drafted earlier by college-recruiting scouts. At University of Kentucky he broke a record held by Sam Bowie for 32 years, scoring 12 blocks against Ole Miss, winning 87-74. In 2013, sustaining a knee injury, he was picked 6th by 2013 NBA Draft. 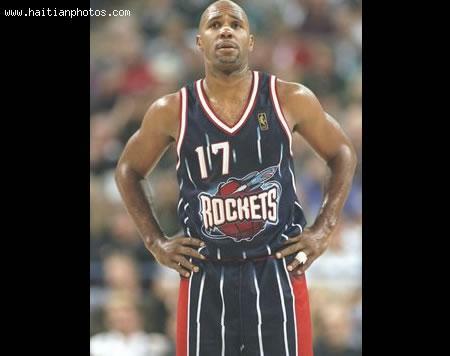 He will play center position for Philadelphia 76ers. He has won SEC Freshman and Defensive Player of the Year. Here is a picture of Haitian-American Mario Elie. With a Haitian heritage, Mario Elie grew up in New York City.